Two years ago, my brother-in-law Sheldon drowned. How does a person begin to describe that kind of loss? 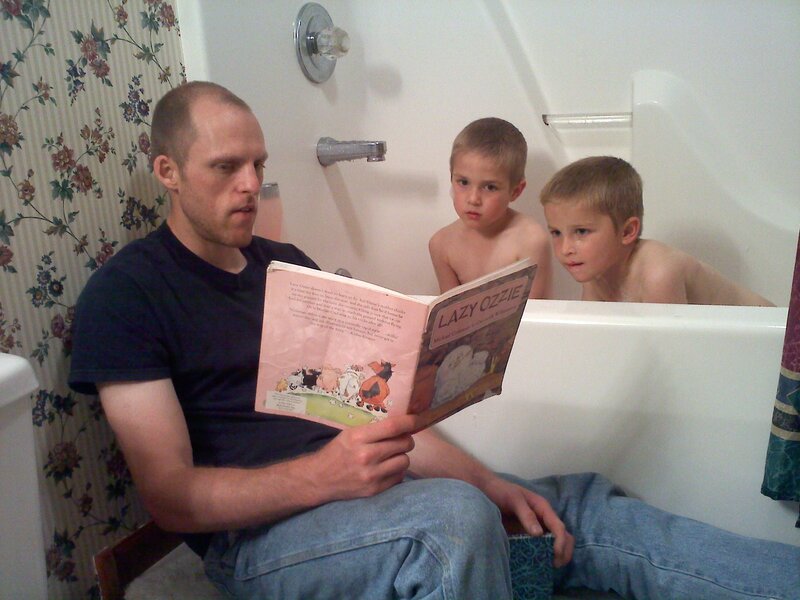 Sheldon reading to Elijah and Stuart during bath time. Sheldon was quirky (remember the donkey mask? ), funny, energetic, good with kids, and underneath all the energy was a gentle, serving, dreaming heart. Sheldon had tremendous potential as a valiant soldier in God’s kingdom. I don’t know how to reconcile that with the fact that he is gone. I can imagine him living Heaven to the hilt. 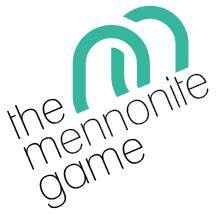 Who knows what kind of adventures God is mapping out for him? Meanwhile, we cry on our crumbling bit of earth. I expected grief over a lost family member to be deep, but still cleansing, like when you have a good cry then feel washed out and peaceful. Grief is deep, but to me it does not feel cleansing. Just yucky, yucky, yucky. Sheldon, where are you? You feel so very far away. The night after Sheldon died, I had a dream. In my dream, I saw Sheldon standing in the morning light, alive and happy. His face was radiant. I shouted, “Sheldon!” and ran up to him and gave him a big hug. He laughed and hugged me back. Sheldon, you are so far away. Yet, maybe you are near, just on the other side of our darkness. We miss you, and we love you. We are waiting for the morning. 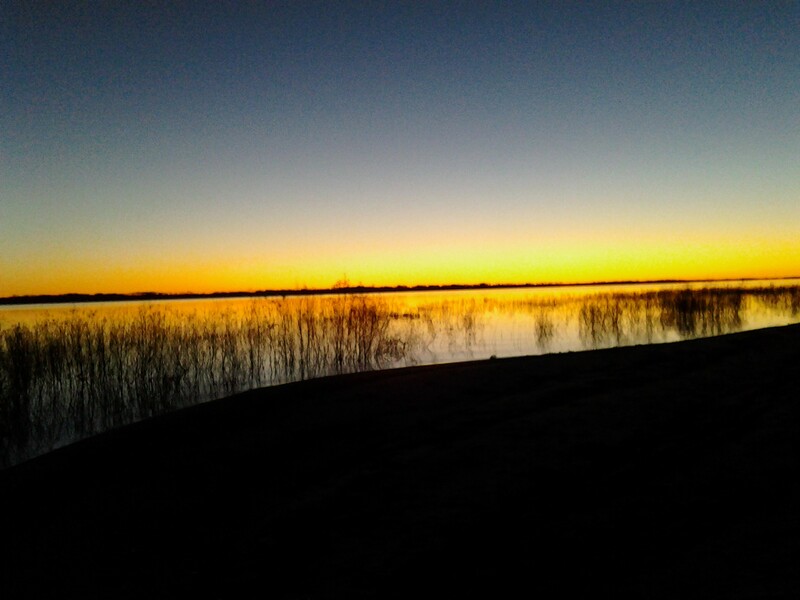 The sun rising over the lake after the long night of searching for Sheldon. Will you pray for Louisa, Sheldon’s sweetheart, today? I thought I was doing okay yesterday until I saw this post. Then I melted. Your dream about him is such a precious gift from God. I’ve wished so many times that I could see Sheldon happy in Heaven, just once. We don’t just grieve the loss of the person; we also grieve the loss of who they would have become and what they would have done. I grieve that we never got to experience the joyous, successful, whole person Sheldon was becoming, as well as the deep sadness of never seeing him become a father. He would have been such a happy daddy. I hope they have adoptions in Heaven.